The plot of Dracula probably isn’t a surprise to anyone, unless they’ve been living under a rock. It’s the story of the vampire Count Dracula, and the horror he inflicts on a handful of people. I’m usually a big fan of the classics, for instance Wuthering Heights is one of my favorite books of all time. However, one of the biggest hurdles when it comes to classics can be the language. Sometimes the language is so overly flowery from certain time periods it can make the books unreadable. I was glad that was not the case with Dracula. I also love the interesting story-telling convention used for this novel. 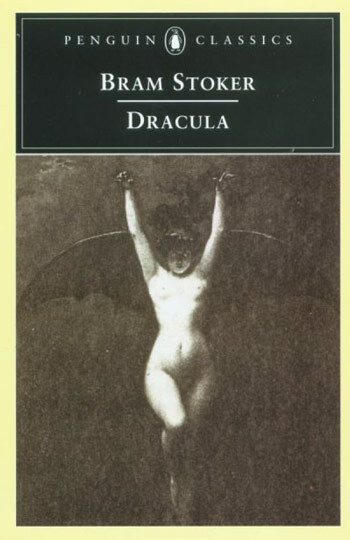 It is a collection of journal entries, notes and letters written by the group of people affected by Dracula. Each of the main characters has a specific point of view regarding Dracula and what he has done to them or their loved ones, and I love how the story is laid out with their journals and notes assembled in chronological order. What I found most terrifying was the fact that Dracula could visit a person night after night after night, draining them of more and more blood. It wasn’t an instant death, it’s a long drawn out process for his victims. For me, Dracula is one of those stories that the plot has been known since childhood, so reading the book wasn’t really necessary. I’m glad I did finally sit down and give it a read though. 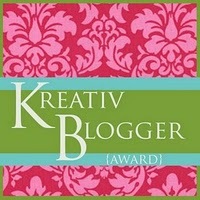 It’s a great story and a great lesson in non-traditional story-telling. Welcome, welcome, welcome! Step right up, one and all, all and one. I bring to you today review #1 from the list of the 50 Scariest Books of All Time! 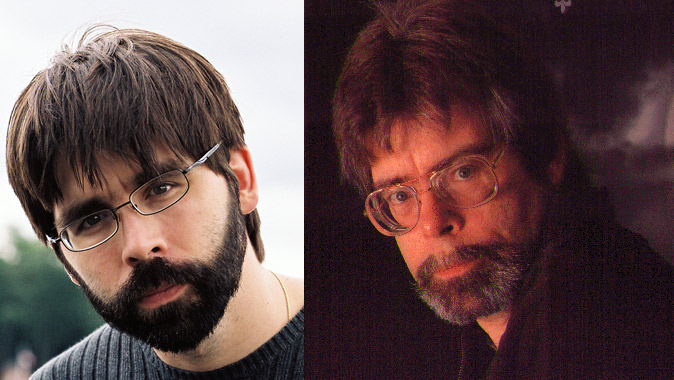 Joe Hill is Stephen King’s son, but don’t think he became a favorite among horror fans because of his father. He went for years publishing without letting anyone know who he was. In fact, if anyone commented on his website that he had a striking similarity to Mr. King, he politely asked that the comment be removed. So for years he made a name for himself as a horror writer, without his father’s rather remarkable shadow looming over him. The cat was let out of the bag though, but he’s OK with that, he’d already established himself without being accused of having his father’s help. Don’t look a bit alike, do they? 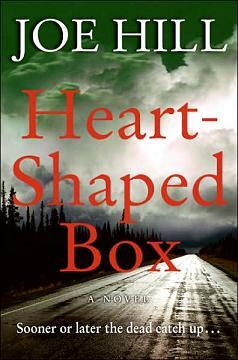 Heart-Shaped Box is the story of aging rocker Jude, who has a fascination with the macabre. One day he finds someone selling a soul online. All he has to do is buy the dead-man’s suit, and his soul is Jude’s to keep! Jude couldn’t pass that up! Once the box arrives, he, his girlfriend Georgia and his assistant Danny realize buying a dead-man’s soul wasn’t as funny as they previously thought it would be. Turns out the soul is out for revenge, and when he says he’s going to kill anyone who associates with Jude, as well as Jude himself, he means it. Most horror doesn’t really scare me – but this novel did. I’ve been riddled with insomnia for about a month now, and it began right as I was reading this book. Coincidence? Who know…but this book certainly did keep me up at night. The premise is a bit goofy, sure – buy a dead man’s suit on an eBay like site, and become haunted by his spirit. But the story is so compelling and so down right creepy that you can look past the premise to really enjoy the story. The characters are rich and deep as well. Jude is this aging rocker who may still be popular, but his prime was in the past. He’s divorced as well, and doesn’t keep the company of any woman remotely near his own age. His women are all in their 20’s, and he never refers to them by name but rather by the state they are from. At first you think – what’s up with this gross old man and his cute 20-somethings? But he’s so real and so rich as a character, you begin to learn not only about him but Georgia as well and you truly find yourself caring for them. I really loved this book. It’s the first of Hill’s novels that I’ve read, but will not be the last. Don’t go pick this up because the guy is Stephen King’s son – pick it up because it’s an amazing horror story. Last night I finished the fourth book in my goal to read 10 this month. So far I’m still ahead of schedule on my reading! Then I actually read the line of text under the title, “A chilling prelude to Wuthering Heights“, and I knew I had to buy it. Contrary to the eye rolls my husband gives me every time I mention it, Wuthering Heights by Emily Bronte has been one of my favorite books ever since my amazing AP English 4 teacher in high school plopped it down on our desks for that weeks reading. Tabby Aykroyd thought she was coming to the dusty mansion of Seldom House to be a maid, but she’s not being asked to clean or cook. Then one day a man, presumably the owner of the house, shows up with a small boy. The boy insists he’s the master of the house, and curiously no one disputes him. Tabby is to be his playmate. The young master is a savage little creature, but the house itself contains far worse: Scores of dead maids and masters haunt Seldom House. Tabby is terrified for her life and the life of her young charge. But why isn’t the young master afraid? It was actually a really interesting read. The tale itself was full of frightening ghosts, and if you have read Wuthering Heights you learn about what made Heathcliff the way he is. If you haven’t read Wuthering Heights, then what’s wrong with you? It’s a classic – go read it! I’m only teasing…I do urge you to read it if you find classics interesting, but if you haven’t read Wuthering Heights, reading The House of Dead Maids would still be a great read on its own, and hopefully leave you wanting to go read Wuthering Heights and learn more about Heathcliff and how his life turns out — which trust me is extremely interesting. I can feel my inner Wuthering Heights fan-girl starting to foam at the mouth, so I will stop myself short of writing for hours about the novel and just say that I think its a really great novel full of revenge and ghosts – and you just can’t go wrong with that! 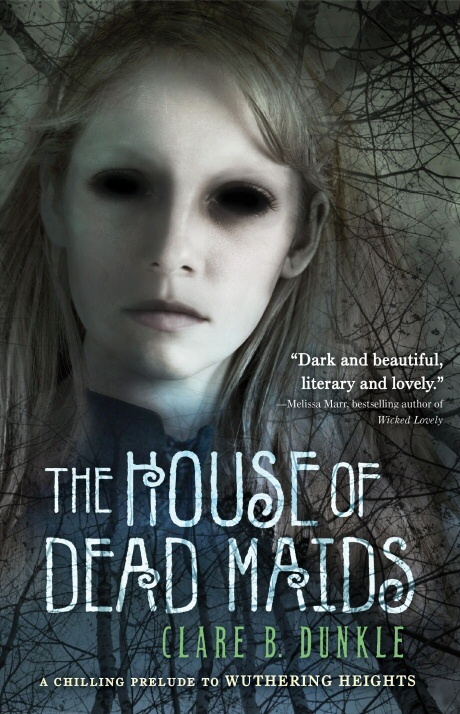 Ahem, back to the novel at hand, The House of Dead Maids actually has a book trailer! The novel ties in Bronte family history, which makes it really interesting. 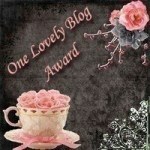 On the author’s website she calls it a historical fiction. The protagonist of this novel, Tabby, was based on the real life maid of the Bronte sisters. Being the fan of Wuthering Heights that I am, I love how this book ties in original fiction with the story of Wuthering Heights, and the actual lives of the Bronte sisters. I give it 4 out of 5 stars. It’s a fun YA ghost story regardless if you’ve read Wuthering Heights or not. At 6 this morning I finished book three in my attempt to read 10 books this month. Having finished three books in only 6 days puts me ahead of schedule! Swish! I’ve had The Graduate by Charles Webb on my “to do list” for a few years now, because the movie which was based on it is one of my favorites. I would share the trailer for the film here now, but the only trailer I can seem to find is three minutes long and literally tells the entire story. When Benjamin Braddock graduates from a small Eastern college and moves home to his parents’ house, everyone wants to know what he’s going to do with his life. Embittered by the emptiness of his college education and indifferent to his grim prospects — grad school? a career in plastics? — Benjamin falls haplessly into an affair with Mrs. Robinson, the relentlessly seductive wife of his father’s business partner. It’s only when beautiful coed Elaine Robinson comes home to visit her parents that Benjamin, now smitten, thinks he might have found some kind of direction in his life. Unfortuately for Benjamin, Mrs. Robinson plays the role of protective mother as well as she does the one of mistress. A wondrously fierce and absurd battle of wills ensues, with love and idealism triumphing over the forces of corruption and conformity. 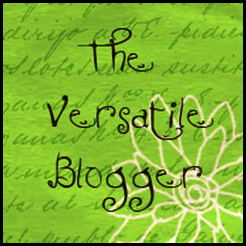 The novel is really bare-bones, that is the best way I can describe it. It is literally almost all dialogue, and somehow it manages to build a story and images with as little description possible. Honestly, it’s probably written in a way that any college English professor would throw back in a student face and tell them to get real. But somehow it works for this novel! Having read it, I can’t imagine it written any other way. Also, I think the way that it was written lends itself to film really well, which may be why the movie was such a success. I’ve read reviews online that say the reason this novel will never be a classic is because of the way it is written. I’m taking the opposite stand point. It’s obvious that every single novel can’t be written the way The Graduate was, but the fact that it works for this novel makes it unique. Besides, the character Mrs. Robinson is classic, so that gives it brownie points, right? I give it 4 out of 5 stars. It’s not really like anything I’ve read before. It is a novel about nothing really, and it works. In closing, I leave you with Simon and Garfunkel’s The Sound of Silence from the film. My husband has convinced me that this song is about aliens. Listen to the lyrics, what do you think? I’ve been planning to read 10 books in the month of January, as sort of a personal goal for myself. I do read a lot anyway, and almost always have a book in progress. Sometimes my progress is slower than it should be though. I go to the bookstore and I always have to buy books if they are on sale, it’s like a sickness! I do buy books faster than I can read them, though, and I think that fact is about to drive my husband to insanity! At any rate, I thought it would be fun to challenge myself to read 10 books in one month. That’s definitely a lot more than I normally read. Depending on a book’s length, and my attention span at the time, I usually get through 1-2 books a month. Sometimes more if I just absolutely can’t put the book down (Harry Potter and The Hunger Games both come to mind). Also, there are some other folks over at the Limebird forums trying this challenge. There is still time if you decide you want to be crazy and read 10 books in 1 month with me! The world has become a different place since Tally Youngblood upset the Uglies, Pretties, Specials applecart. What it’s like? Well, visualize an all-day, everyday version of American Idol, where everybody’s a contestant and there are cameras everywhere. In this constant competition, teenager Aya Fuse ranks as a nobody; 451,369 to be exact. Of course, such obscurity has its small rewards, all of which have now become endangered by her friendship with the Sly Girls. 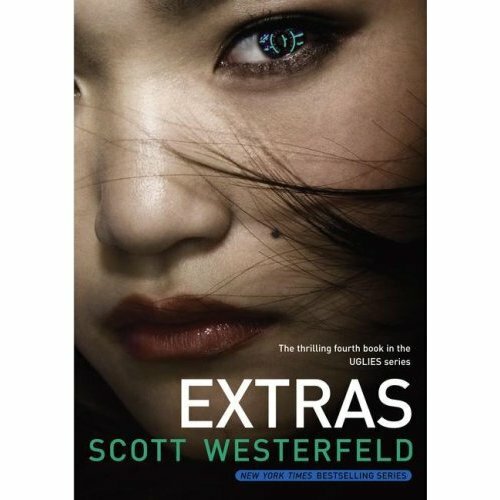 Another futuristic thriller by Uglies trilogy author Scott Westerfeld. This novel takes place three years after the Specials ended. The protagonist is Aya Fuse, a 15-year-old girl who wants nothing more in life than to rise from the ranks of a nobody to join the world of the famous. To become famous, she needs to find the most amazing story ever and reveal it to her city. Without her knowledge, she uncovers a truth so big that it will change the world forever. Little does she know that revealing that truth to her city will get her into a lot of trouble with some really scary people that appear to want to hurt her. Even though this book is different than the first three, in that Tally isn’t the main character, she does show up toward the last third of the story tying this story in with the previous three. While this novel is part of the same series, and same world, it is different than the others making it difficult to really compare this to the other three. It really is a story on its own, simply set in the same world as the other novels. I give it 4 out of 5 stars. It was fun and exciting enough to keep me reading so much that I managed to finish it in 1 day. I definitely say if you have read the other three novels, to pick this one up as well. If you haven’t read the other three novels, I suggest you pick it up if you enjoy futuristic/dystopian/sorta sci-fi-ish/action adventure-ish type novels. Now, I’m off to do more reading!